I’ve got a problem with the Screen Sharing connection to my macos server. I’m using a macbook pro to connect to my mac server. It works fine on the local network, but fails to connect from remote networks via internet. I can connect via AFP and SSH to the server remotely, websites and mail work fine as well al the Server App from any network. It is just the Screen Sharing that stopped connecting at some point few months ago, wrestling to solve it since then. The port TCP 5900 is forwarded on my router, (I have also forwarded the 4120 for Keberos authentication, as listed on Apple’s website but it doesn’t seem to do any good). My server runs macos 10.13.4 at the moment. It is connected to the internet via SKY broadband (UK, Hub model ER115, Firmware 2.07.2356.R, DSL Firmware VersionA2pv6F039m1.d24m) and Apple router (Airport Express 7.6.9). There exist some other options for Screen Sharing that are easier to set up and are safer, since they do not require opening ports to the internet. If you have macOS Sierra and an iCloud account, then see this Apple article: macOS Sierra: Share your screen using Back to My Mac. This is essentially a built-in Screen Sharing feature VNC server with some extra features. A third-party VNC product is TeamViewer, which is free for personal use and very easy to use. TeamViewer is convenient because you won’t have to forward ports or worry about server configuration issues. 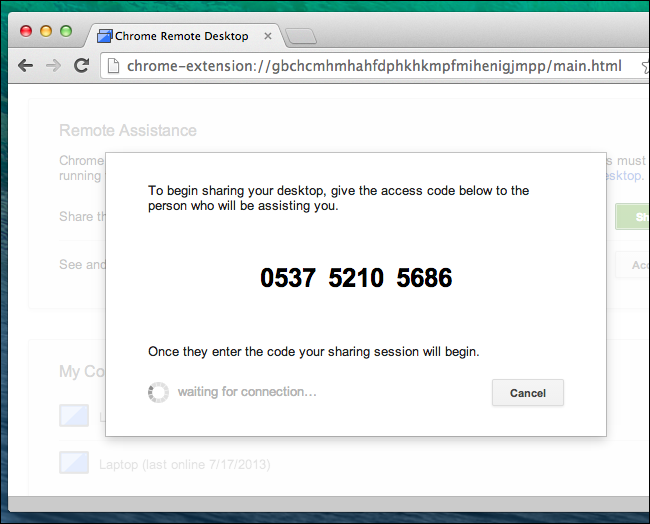 If you use Chrome, then Chrome Remote Desktop is another option, using the Chrome Remote Desktop extension. This is another convenient way to access your Mac that doesn’t require port forwarding and other configuration. 3 Free Ways to Remotely Connect to Your Mac’s Desktop. Now I can connect with the Screen Sharing remotely. @gregg answer helped to put things together and with an online port scanner (Web search > scan my ports) I've discovered that the TCP5900 was blocked (by server itself) despite being open on the router. Not the answer you're looking for? Browse other questions tagged macos mac home-networking or ask your own question.